In the spring of 2012, weary of replacing stolen vacuum breakers, the management of D&R Property Maintenance began to do an exhaustive search for a security device which would prevent further thefts of vacuum breakers on properties it serviced. A wall-mounted security cage would be the ideal device. Numerous phone calls to landscape supply companies and queries to the largest garden supply chains yielded no results. Thus, the P.V.B. 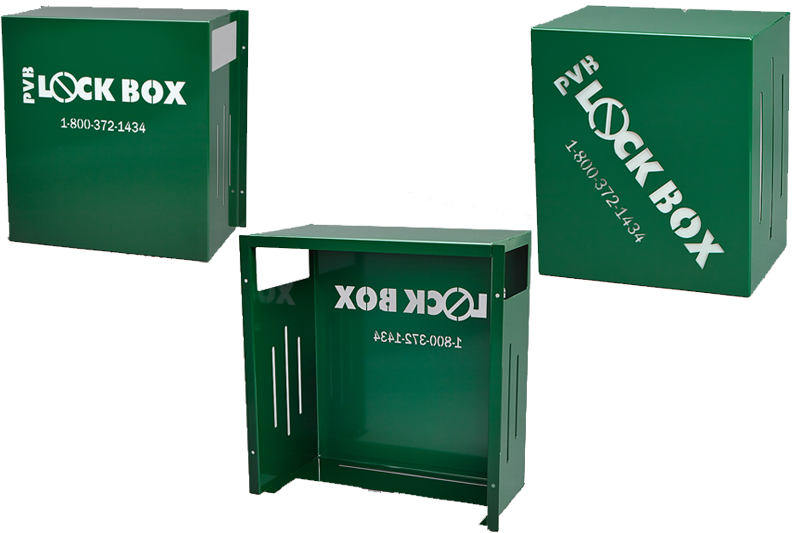 lockbox was born, a security device created out of necessity. 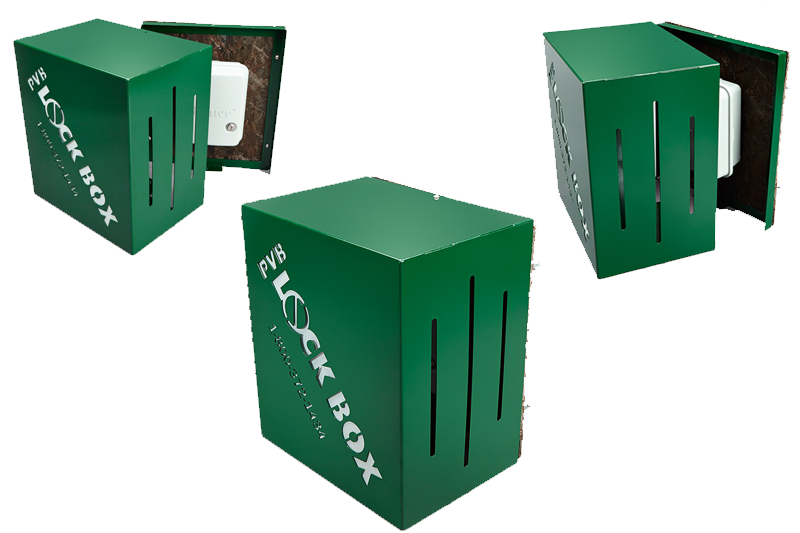 Mounted directly to the wall and held in place by security bolts and anchors, the lockbox has service openings which allow the device to be tested for pressure and to be winterized, a necessary maintenance procedure in the northern states where irrigation is not needed year round. 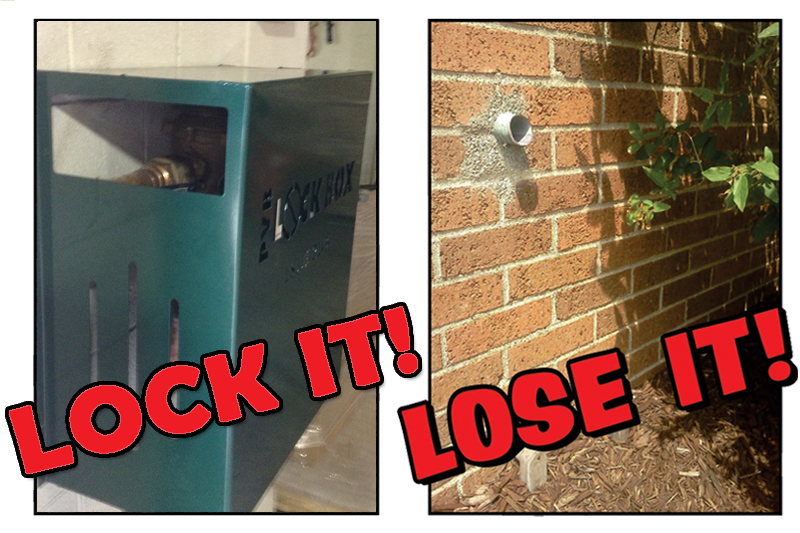 As a deterrent to theft, there have not been any reported thefts of vacuum breakers in any of the sites where the lockbox has been employed. 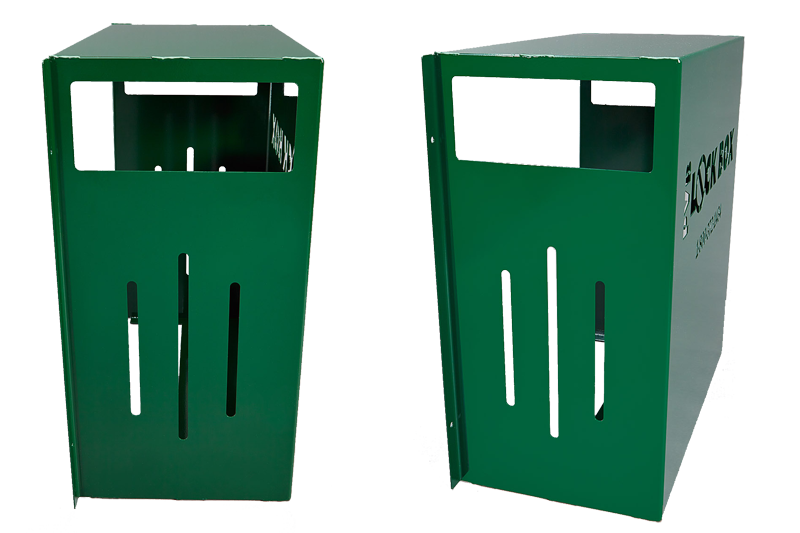 The lockbox is available at John Deere Landscapes, Federal Irrigation, Spartan Irrigation, D&R Properties, Grosse Ile Lawn Sprinklers, Trost Irrigation and many more.